- a minimum of 6-night stay (with the total value of the booking before taxes and fees of at least C$ 700). 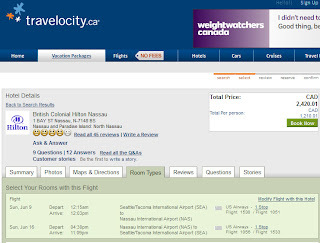 There is also a C$ 200 Expedia promo code for a minimum 4-night stay and total trip value of at least C$ 600. 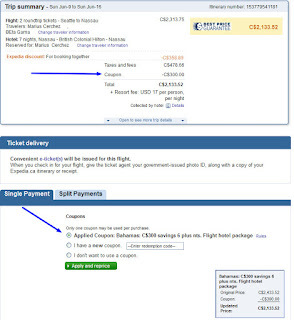 Important: during the reservation process, you have to register with your Expedia.ca user account. If you do not have one, create a free account by pushing the "Sign in" button on the very top page of this -> page. Follow this -> link to see the participating hotels and search for your holiday escape. To get the C$ 300 discount use coupon code NPI300 and for the C$ 200 saving use coupon code NPI200. 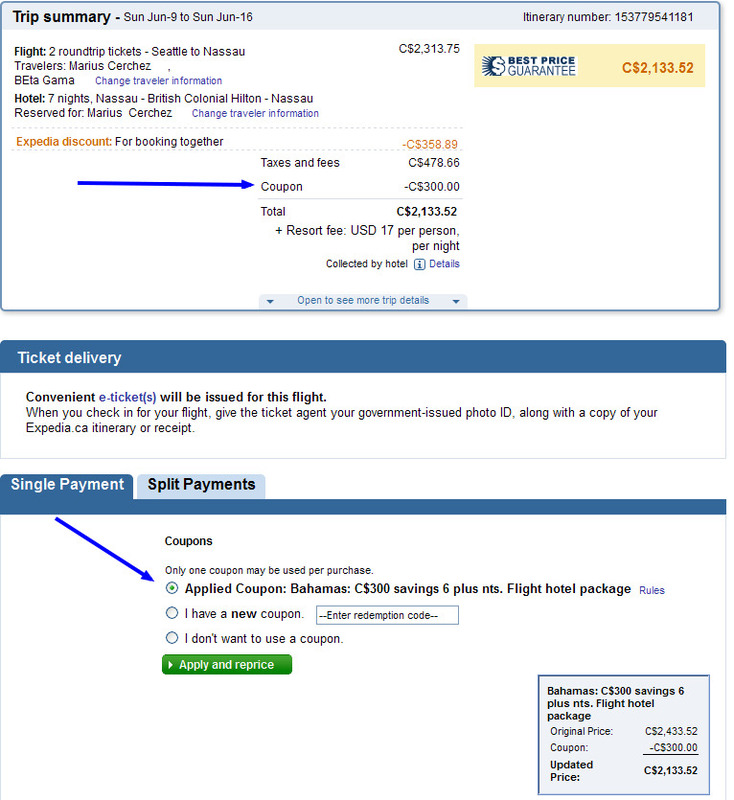 As in the print-screen above: 7 nights (9-16 June 2013) at the Nassau British Colonial Hilton****, with return flights for 2 people form Seattle, has a total price of C$ 2 134 (after the C$ 300 discount code and additional C$ 359 package discount).